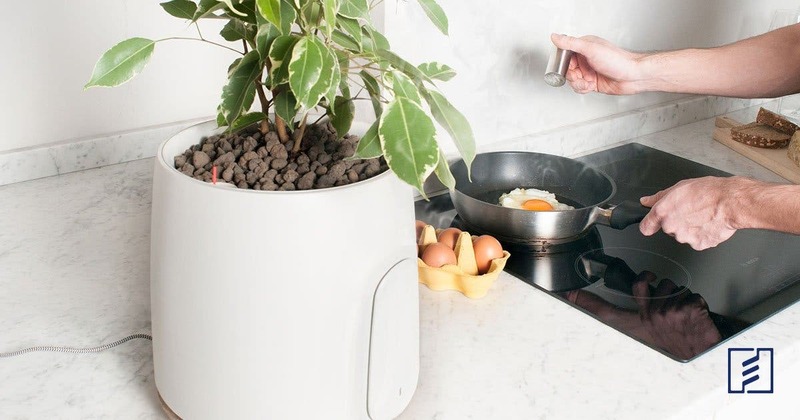 Clairy has launched a new indoor air purifier that takes nature’s best living air cleaners and makes them part of the solution with its new NATEDE air purifier. We spoke with Clairy’s CTO Marco Santonocito to get the inside scoop on the product and more than anything, to understand why Clairy believes plants are the best air purifiers in the world. Marco shared that Clairy was born out of a frustration with persistent indoor air pollution. “Everything started at university when my partner Vincenzo read a study about indoor pollution,” he shared. Further research revealed that indoor air pollution was a problem that could be solved, and Clairy’s founder Vincenzo Vitiello set out on a mission to solve it. 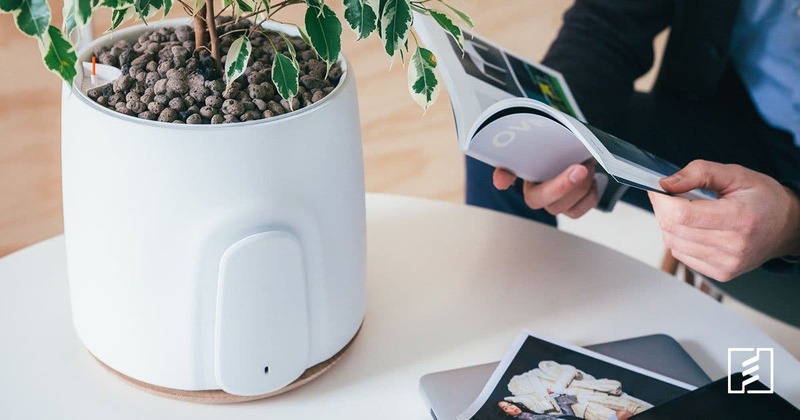 Looking in nature as the first component of their indoor air filter, the team set about designing a product that would look beautiful and yet still provide a meaningful improvement in indoor air quality by filtering the air with a plant. The early efforts from the team resulted in the first generation Clairy indoor air filter which took flight from Kickstarter. The team at Clairy and their customers loved the first generation product but found new ways to improve it, both from their own internal iterations and by integrating feedback from customers of the first generation filter. The missing link turned out to be technology, which comprised the secret sauce that would flow into their second generation product. All of their learnings were rolled into the product that became known as NATEDE. It gets its unique name from the 3-pack of awesome that formed the foundation for its creation: NAture, TEchnology and DEsign. The addition of technology turned Clairy’s original idea into a high tech, internet of things product built to help people to keep the indoor air around them clean. It does this by building on the same premise that formed the foundation of Clairy’s first indoor air filter — using a plant as the air filter. Marco shared that some plants have microorganisms that have the right characteristics to filter out the particles people don’t want in their air, but most plants don’t get sufficient aeration to filter the pollutants through the roots. The solved this by specifying which plants are the most effective and can be grown in each climate around the world. In case you’re wondering, the plant is not included — it’s a type of BYOP, or ‘bring your own plant’ — device. “We recommend certain plants that work better. There are 16 plants that NASA said are the best,” Marco related. The plants were selected as those that are the most effective at filtering indoor air and that are available around the world at a low cost. The NATEDE filter was designed to force the incoming air through the root structure of the plant for a very specific reason. “By forcing air through the roots, we can make a plant more than one hundred times more powerful than it would be otherwise at filtering out pollutants,” Marco shared. The powerful filtering capabilities of the plant are supercharged with another filter to the unit that uses titanium dioxide paint and a photocatalytic UV LED light that eliminate viruses and bacteria as well. Using filter media that doesn’t need to be changed or maintained — with the exception of a little water for the plant every so often — means there are no filters to replace, ever. The second generation product, the Clairy NATEDE, is seeing solid demand from customers as well. “We have to ship the [early bird orders] in December and the late products in January. We are on track and this is our second product.” Marco attributes that to the team’s experience gained from building the first generation product. In that time, the company has expanded from its headquarters near Venice, Italy, into a second office in San Francisco, California, in the United States.